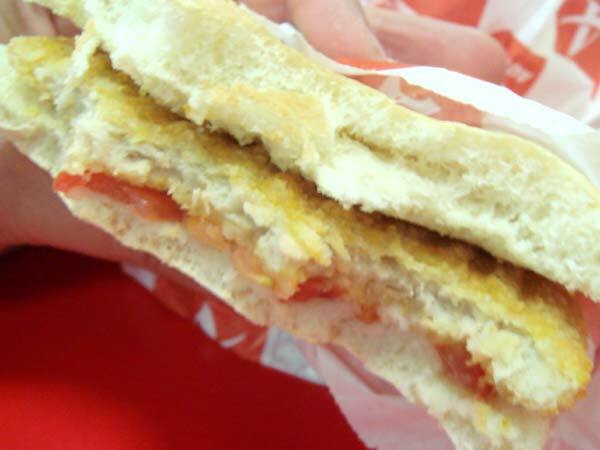 A chicken panino at the Rome airport. Famous last words…”Even at the airport the pizza is better.” I think it sums up our gustatory experience in Italy, where what you eat anywhere is better than any pre-packaged, mass produced meal you’ll find in North America. A place where the pizza is equally delicious on every corner and topped with fresh ingredients. It’s a place where a bakery will give regulars extra pastries near the end of the day, because they refuse to sell them a day old and risk losing customers. The competition is stiff and freshness counts, as it should be. If there’s anything Italians do well it’s antipasti – appetizers. We arrived for a visit with family to find a table laden with every appetizer you can imagine. Cheese with honey, cheese wrapped in prosciutto, cured sausage, several kinds of stuffed pizza, pinwheels of all kinds made with egg crepes and stuffed with ham, cheese, spinach and more, plus melon and chicken salad, if I remember correctly. I was full before we even hit the first course. It was an amazing spread in both variety and quantity, and I can’t imagine trying to prepare anything as grand. Once we settled in, our host took care of the ordering (with some consultation) and the food and wine flowed. We started with a bruschetta of tomato slices on toasted crusty bread with the best olive oil I’ve ever tasted. That was followed by a second appetizer course of “Suppli” (rice balls stuffed with cheese, breaded and fried) and codfish fritters. That was just for starters. 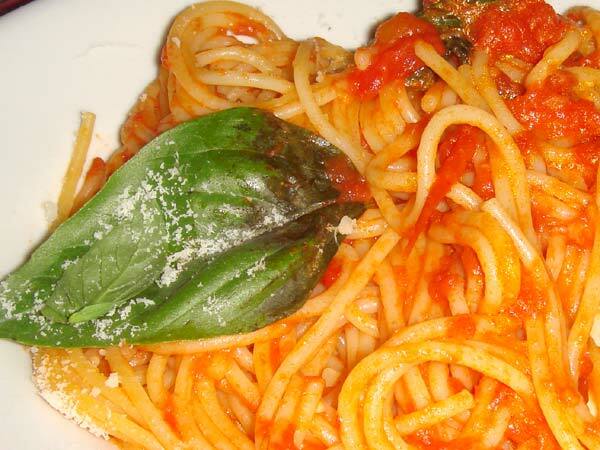 Next I had spaghetti in a basic tomato and basil sauce, but the portion was enormous. I barely finished half, and since no one was prepared for a full second course, we opted for a platter of cheeses and some amazing foccacia bread fresh from the wood-burning oven. We topped off the night with a completely different Tiramisu than we’d had in previous days (this is the third, if you’re keeping count), a much creamier and more egg-heavy concoction that was delicious. (By the way, if anyone has any ideas for new words to describe things that taste good, please let me know.) Did I mention we followed dessert with coffee and “Limoncello,” a lemon liqueur? Then we were finally done. Italian grandmothers, or Nonnas, like other grandmas, seem to put a special kind of love into their cooking. And it’s no surprise they pass it on to their children and grandchildren. We had a delicious lunch today, hosted by my cousin’s family and her mother, my great aunt, who is one of the few relatives left from my grandmother’s generation. Prosciutto and melon was the classic starter, then a homemade lasagna came next that was amazing. It is truly incredible how a classic recipe can vary so much from one family to another and still be true to the original flavour. Next we had our first taste of lamb on this trip, which is odd because it is such a popular meat here, as the mountainous terrain lends itself far better to the agile animals than lumbering cows. Anyway, lamb and potatoes roasted in the oven and covered with generous amounts of olive oil were accompanied by a fresh tomato and celery salad. We concluded with fresh fruit and a “Macedonia” cake with fruit and cream filling, fresh pastries and, of course, coffee. It was all amazing. Needless to say we opted for a light dinner. Just one course even…gelato. Why can’t I remember it’s Tuesday? It might be the big mid-day meal we had after a great morning of sightseeing. We saw the “Telespazio” centre where a great deal of satellite communication, both land-based and interstellar. At the other end of the spectrum, we saw the growing industrial farms in the local valley that grow potatoes, fennel, onions, tomatoes, beets and lettuce, among other things. It was fascinating to learn that after the crops are harvested, locals are encouraged to go and pick what the machines have left on the field, though few still take advantage of the free, fresh produce. Repeating it back the menu seems less imposing, but I tell you, by the time we hit coffee and a sip of “Ratafia” (a locally made cherry liqueur), we were ready to sleep for a century. It seems to me that good food nourishes the body, but also encourages you to nourish the mind. After a trying day dealing with silly things (the front door lock broke and I dropped, and destroyed our cell phone, our only means of communication), we finished the day at what is quickly becoming our favourite pizzeria. 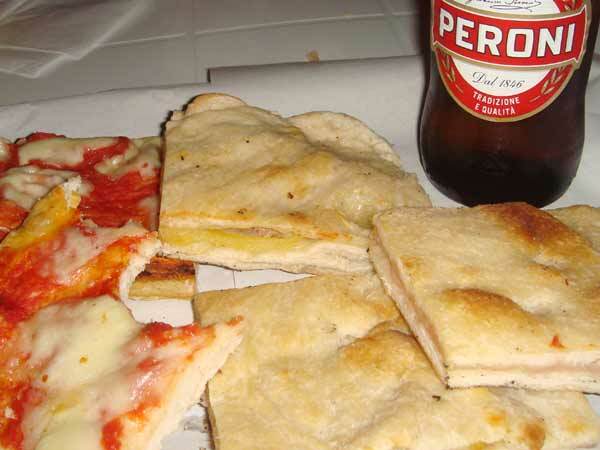 At “Pizza del Corso” you can get stuffed or regular pizza by the slice alongside pop, wine or a nice Perroni beer. On this night, we shared slices stuffed with ham and mozzarella, sausage and mozzarella and a “Margherita” or tomato and mozzarella slice. It was the perfect way to end a less than perfect day. And a side note, I’m at the stage in the trip where I think I may have found my favourite gelato combination so far, chocolate, hazelnut and whipped cream. Hubby’s big into the walnut flavour with whipped cream, bless his soul. It’s all delicious though. lady – just a quick recommendation: I think you should post each of these days/entries separately because then it allows people like me to comment specifically on pics or recipes instead of having to comment on the whole page worth of posts!! I’m way too jealous about these posts – I need to find my way to the freshness and happiness of Europe! I’ll continue commenting but definitely try to post smaller stories at a time! !